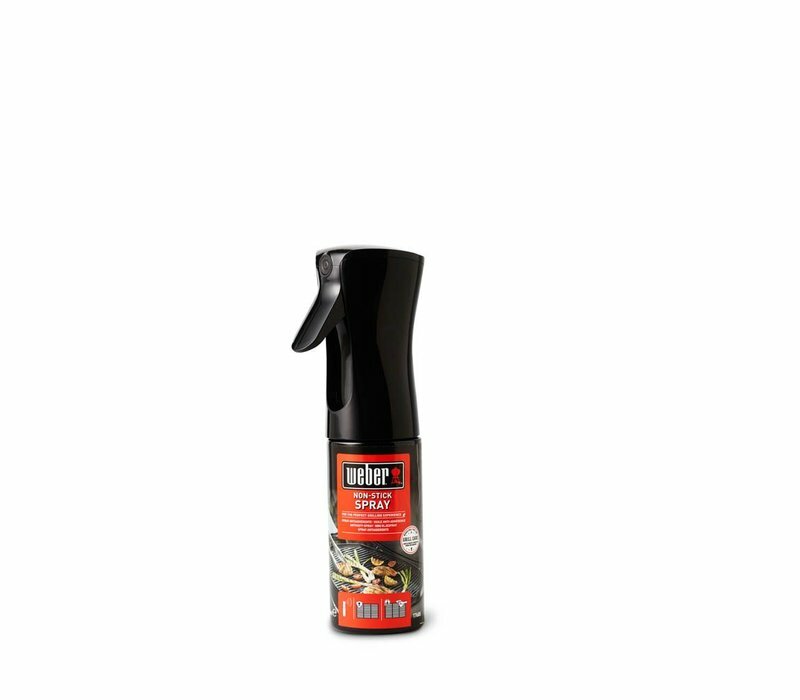 Before you cook up a storm, spray the grate with the Weber non-stick spray. This will ensure that your meat does not stick and your meal is cooked to perfection. By doing this, you also protect the grate. 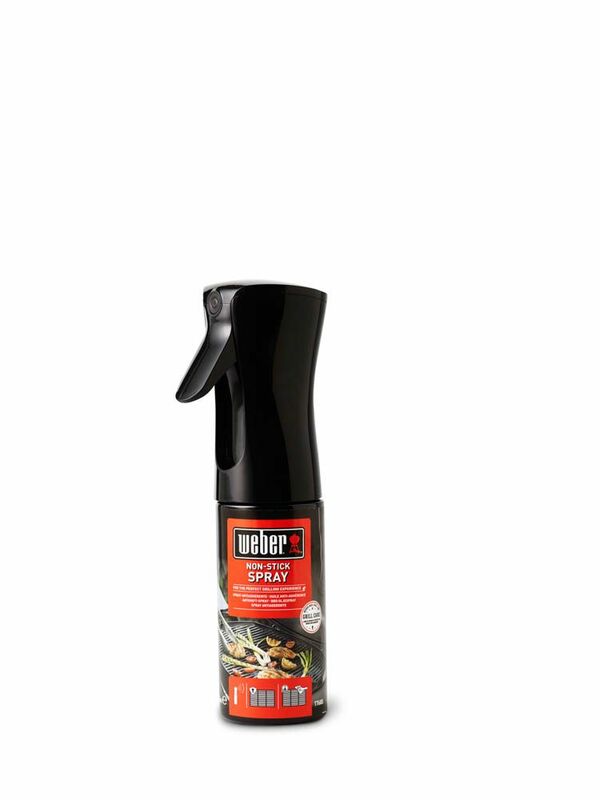 Plastic, easy to use bottle that sprays from any angle. Fine mist spray that covers a wide surface.